Do you need Christmas decoration? 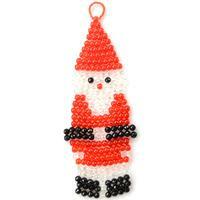 Then follow me to see this Pandahall tutorial on how to make pearl beads hanging ornament. 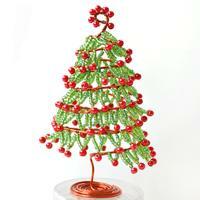 Are you searching for Christmas bell ornament for Christmas decorations? 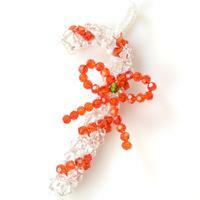 This article will show you how to make a bead Christmas bell. 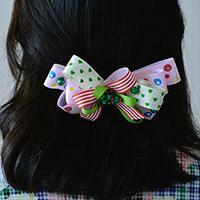 In today's Pandahall article, you can see a simple tutorial on how to make Christmas ribbon hair clips with pearl beads. 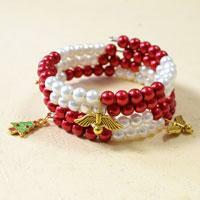 In this article, you can see a tutorial on how to make a simple red and white pearl beaded bracelet with Christmas tree and angels. Many kids love star magic wands.This article will show you how to make a star magic wand with pearl beads and seed beads for kids. Want to make something interesting to decorate your house? So lucky, today’s tutorial will entirely show you how to make a Santa Claus ornament. Hope you will like it! With Christmas coming, do you want to decorate your house by your own? 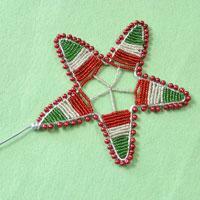 Here, I want to share you totally about how to make beaded Christmas wreath decorations. Are you searching for candy cane Christmas ornaments? Just look at this tutorial on how to make candy cane ornaments. 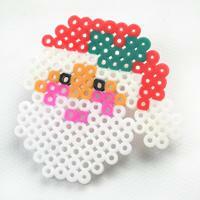 Do you like Santa Claus Christmas ornaments; here I will show you a beaded Santa Claus pattern. As you known, Christmas is coming. 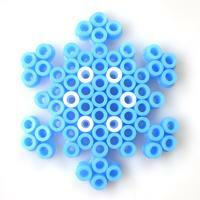 Here I want to share you how to make perler bead snowflake patterns. Hope you will like! 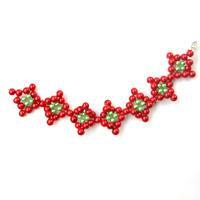 This three strand beaded bracelet is a basic beading pattern; it is made up for the approaching Christmas day. Do you like wire wrapped Christmas ornaments? Here I will DIY Christmas ornament wreath with wire for you. 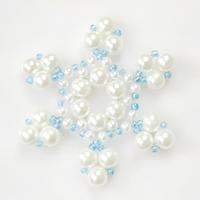 Look for beaded snowflake patterns? Today, this pattern will totally show you how to make beaded snowflake earrings. 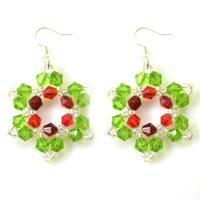 I believe you will love this pair of beaded snowflake earrings. Here I want to make beaded Christmas bracelets for the approaching holiday, let’s see how to make a Christmas bracelet together. With Christmas coming, do you want to decorate your house? So lucky, here I will share you how to make Christmas tree ornament. Hope you will like it! Do you want to DIY some cute jewelry for coming Christmas? 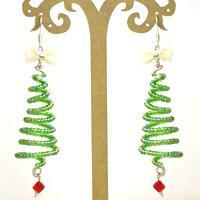 Here I will share you how to make wire Christmas tree earrings. Don’t leave, the result will be fabulous! 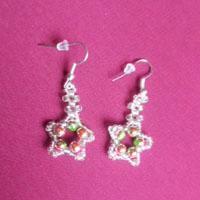 Are you searching for beaded Christmas earring patterns? Here I’d like to show you a couple of Santa Claus earrings. With Christmas coming, want to make some Christmas ornaments for your house? 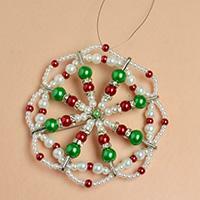 Well, this tutorial is going to show you how to make a beaded snowflake ornament with pearls and seed beads. 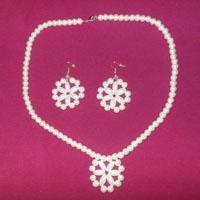 It’s really fun and easy to make beaded snowflake jewelry set, no complicated beading experience required. I’m so excited to show you how to make beaded snowflake jewelry set. Follow me! 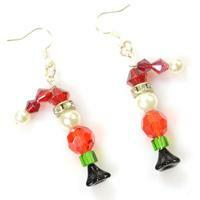 How to bead earrings for Christmas with just a bunch of glass beads and a nylon wire? In this tutorial, I would like to tell you how to make it in an easiest way.